You can get further information on who contributes to the enlisted land by going to http://uscode.house.gov/ At the time the home was established there was no way for the enlisted members to get together and form an organization to have our voices heard. That has all changed with the dynamics of the Internet. The history of the home reveals numerous occasions where land was taken from us and used for other purposes without the input from the owners of the property, US. Logically the Executive branch decided to ask the Defense Department to handle the overall running of the home. There is a long history of the management of the home, who ran the home up to 1975 in a book entitled The United States Soldiers Home, By Col. Paul R Goode I believe it’s out of print. There was no enlisted organization to step forward and help manage our property. Most NCOs at that time did not have the education, training or experience to run a retirement home and handle the funds properly. All this has changed dramatically within the last 50 years. 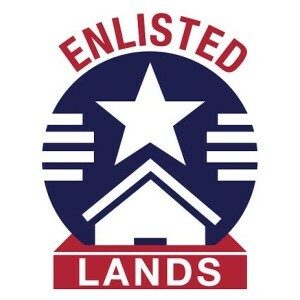 We now have our own Internet site called Enlisted Lands Organization or www.enlistedlands.org. On the site you will be able to communicate with each other, form groups both private and open, have a forum where everybody will have input with their thoughts and suggestions. We have senior NCOs who now have Doctorates Degrees, Bachelor Degrees, and experience managing large organizations that afford them the education and background to help us with our suggestions on managing our home. We also have, with this website, the ability to call together all enlisted past and present that have contributed to the trust fund. This Website will be representing the contributors to the trust fund. This should get us a voice in how we want our property and land managed. There is an internal committee mandated by Congress that has been created at each home called Resident Advisory Committee (RAC) that has limited influence in the decision making of our property. However for that reason, we created this website so the contributors of the trust fund can communicate with each other and as a group with that committee. With that said each of us, as individuals and veteran organizations with large enlisted memberships, should work together and form a common goal to manage our land. To each enlisted member and Wounded Warriors, by virtue of the fact that you have contributed to the trust fund you are automatically a member of this website. The owners and resident of the Armed Forces ENLISTED LANDS & RETIREMENT HOMES, give you, our Wounded Warriors, our solemn promise, to give all that we own and our remaining years to saving ENLISTED LANDS & RETIREMENT HOMES for your future!